Mark down Sunday, June 19 in your calendars! Father’s Day has been around for over a hundred-years and we continue to celebrate all that our Dads have done for us. From teaching us how to ride a bike to driving a stick shift, they have always been there for us and it’s time to pay them back for their efforts. Father’s Day is fast approaching, but no need to worry because we have the perfect gifts for Dad in our shop. Wooden Kitchen Utensils by Hardwood Hill. 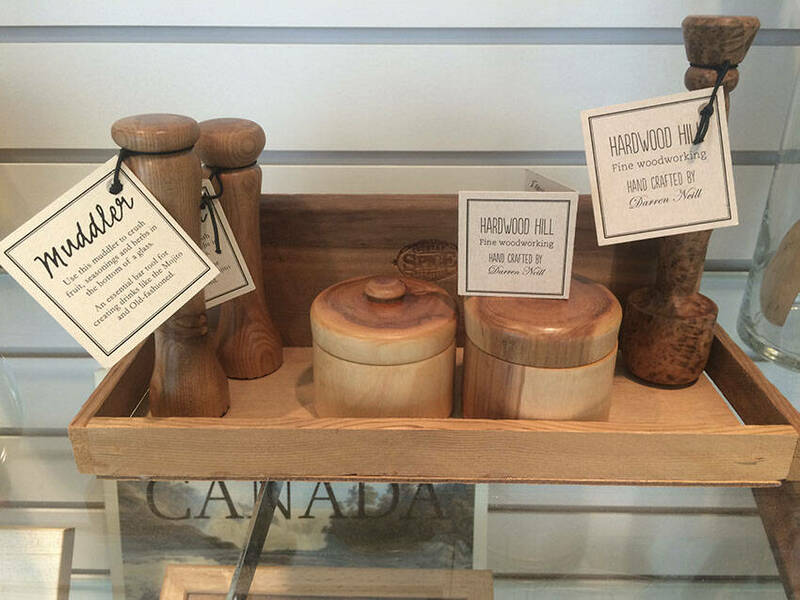 Here’s a set of handy kitchen utensils made by Hardwood Hill, handcrafted by Darren Neil. The Muddlers and spice boxes are perfect for any father that enjoys homemade drinks. We also have an assortment of wooden utensils, not specifically for the kitchen, but are still perfect for Dad. 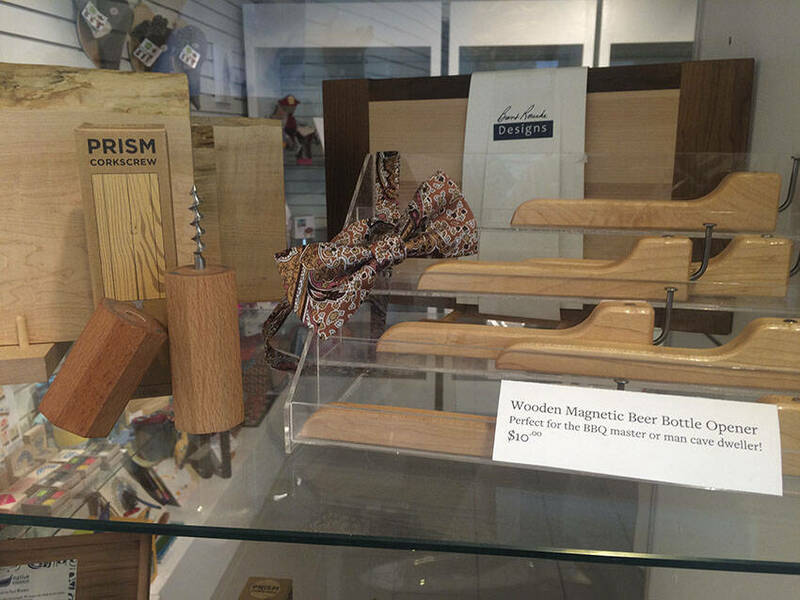 There are prism corkscrews, magnetic wooden bottle openers and even cutting boards by Brent Rourke Designs. Lemon Mint and Barley beer soap by Aide Body Care. 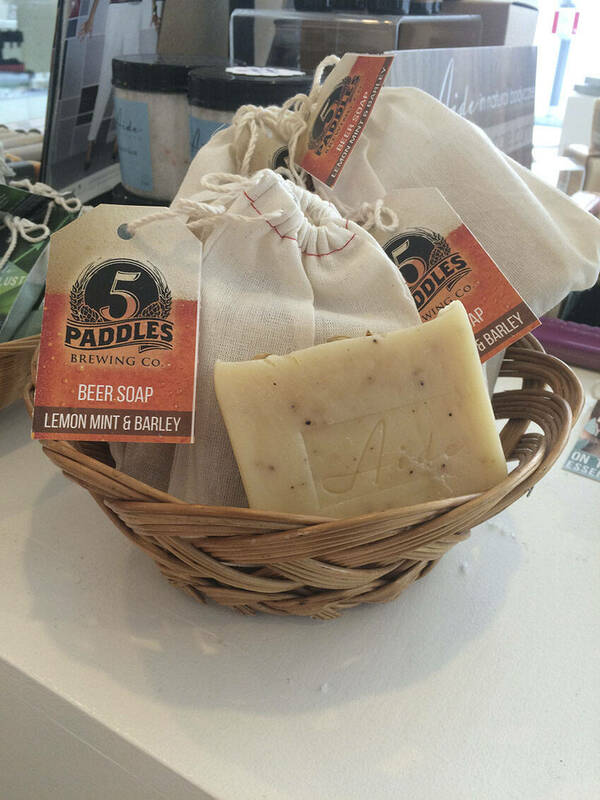 If your dad loves beer why not get him one of the special lemon mint and barley beer soaps by Aide Body Care, made in collaboration with local brewery, 5 Paddles Brewing Co.
Gentlemen’s Shaving Bar by Aide Body Care. Grab some more products by Aide Body Care made especially for men. 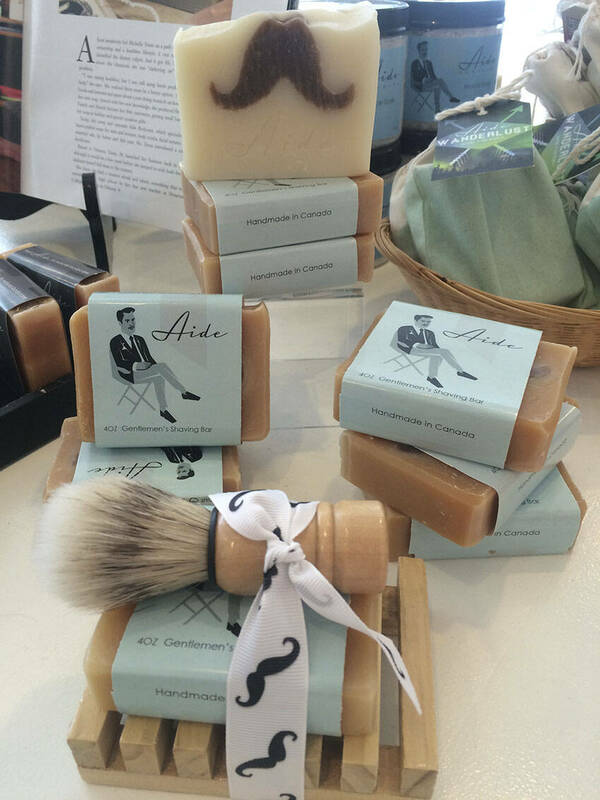 Aide Body Care’s Gentlemen’s Shaving Bar is perfect for Dad when paired with a shaving brush. Treat your dad to something special and stop by the RMG Shop to pick up on of these, and more, fantastic gifts for Father’s Day.